Medicalchain wants people to have access to their health records everywhere. Today, you can travel far and wide and you will have access to your phone, contacts, photos, files, bank accounts but not your health records - probably the most important and life saving information you need. In most developed countries around the world you, as a patient, have a legal right to request your records. Medicalchain is providing you with a platform to do that. But more importantly, Medicalchain wants its users to be able to use it immediately by communicating and sharing (on a time limited basis) with other doctors. The bigger vision is to allow pharmaceutical, insurance and other healthcare organisations and stakeholders to be able to interact with health records on patients' terms. Medicalchain believes that health records should be a part of everyone’s life and not just referred to when someone is ill. I like this idea and looks a strong team for execution. And the alpha product also ready. I assume this project is low risk and should be very successful. There's a few of these medical record projects kicking around but this one is particularly strong. This project was a great idea and vision the team was not able to execute and get it to work ! What exactly happened is unknown ! Why did the project fail? 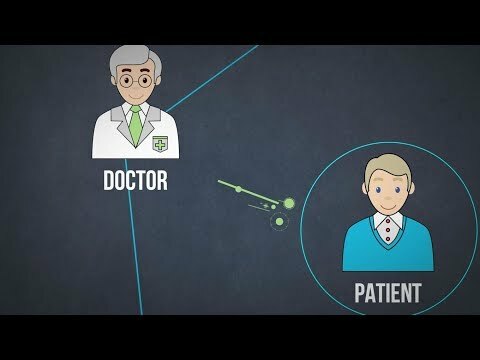 A decentralized medical documents platform is a great idea. They have a solid team. I am concerned about their ability to execute based on their performance throughout the process of their ICO. This concern can be nullified and eliminated if they can execute on their key timelines and milestones. This is by far the most innovative healthcare functionality on the blockchain. Medicalchain could truly revolutionize the heatlhcare industry. 1. I've show case your ICO to my biotech class at Nanyang Technological University and your ICO has inspired many of the postgrads and postdocs. 2. Very nicely produced video. 4. I've updated my scores accordingly and will revise it if the core team can respond to the red flags highlighted in Concourseq. A bit FOMO in my opinion. There are already many projects on this field. Do we need another one? Not a strong project to invest, I pass. Medical chain is one of the few project adressing the electronic health record with a relevant blockchain approach. Its medToken prove real usefulness inside its ecosystem, solving data sharing within a telemedecine solution. Medicalchain already have a functional product, proving its hability to ship efficiently. All in all, a good ICO to invest in. As a Blockchain VC I see this idea every few weeks. What are the doctors incentives to use this technology? Why don't you run a trial with a hospital? Do you have any LOIs/ market validity? Is the data lost if the private key is lost? How are the ICO proceeds distributed and used? Too many open questions for me, but the name is good. - The main problem of this project in the filling of data ! So far no company has been able to do this. founders and future employees. Within this 34%..."
• 10% will have already vested. • 12% vests over 2 years. • 12% over 4 years. Where are remaining 32% ? 1. Where we can we will use APIs. This is already possible in North America and Europe with the multitude of EHR software vendors. Where we cannot use APIs, we will use AI scanning and OCR capabilities. The split is 15%, 11% and 8% as you mentioned above. The vesting schedule is 10% already vested, 12% over 2 years and 12% over 4 years. The healthcare industry involves gathering and checking information from many sources. Formulary checks, patients’ assistance checks, and pharmacy stock checks must all be performed. There are real opportunities to take a decentralized ledger approach, and a smart contract approach to solving those issues. This project is a perfect implementation of the Hyperledger framework. Well done! Thank you very much, Toomas. Strong team, solid vision and whitepaper, product has long-term potential and benefits to society. This product is definitely needed. There are many competitors. Medibloc seems to be a bit further ahead as far a current development, but both are still very early in the process. Great vision, serious team of professionals. Could be one of most promising ICOs. Hyperledger is a private blockchain ... ??? The team is strong, but comparing to other projects such as https://iryo.io/- the UVP is not that convincing to me ... (personal opinion) - what about an open source data exchange protocol to really cover this vertical? This is a bold(er) vision in my opinion. This is a permission-based blockchain as different users, being clinicians and patients, will require different levels of access. Patients will be mainly using the platform in a read-only format and the registered and approved healthcare professionals will be able to read and write onto the blockchain. The blockchain cannot be open or public as users would not want their health records shared or stored on computers held by members of the public. The nodes instead will be hospitals, universities and non-profit organizations holding the hash or pointers on a blockchain network linking them to the patients' records. This also solves the problem of legislation associated with health data where the data itself needs to remain in the country of origin to remain HIPPA, GDPR (or equivalent) compliant. We appreciate you complimenting the team, we are fortunate to have a combination of international clinicians, developers and visionaries. I don’t see point in your platform using Blockchain, even if you guys are using Blockchain Platform, main problem will be of method of data storage. How secure it is.? Are you using IPFS or distributed Storage to store the data or using Hyperledger or developing your own solutions.? If Yes, what are those? Briefly. I kindly ask you not to give ratings on ICO Bench just for the sake of it or without understanding the solution. All of the technologies we use are clearly explained in our whitepaper. However, for the avoidance of doubt, we are using Hyperledger to store the hash of encrypted health records, which are subsequently stored in encrypted storage containers, hosted by 3rd parties within jurisdictions compliant to each user. The product, its intended usage and so on seems quite ok.
What is a little bit strange its the team itself, no people from the industry in the leading positions, not enough convincing technical talent there as well. Business development activites will be key. In this aspect it will be no different then any software supplier except the fundraising model. Wide adoption in short term seems very difficult and I foresee bigger players in healthcare industry adopting blockchain tech soon which will make Medicalchain and similar projects obsolete. On the other term as a short term investment it seems very low risk and high hype. Very big community and responsive team. The team looks good, and it is easy to see dedication on the part of the team to build up an actual utility token. The roadmap is well defined, the white paper is well written, and there is a scope of innovation in this area with Blockchain! I am sold! From a medical standpoint the team has the knowledge and knowhow to execute the product but it needs to be seen from a company scaling standpoint how the core team management team demonstrates leadership but I am rooting for them. Excellent use of the blockchain and good utilization of DLT. It makes me feel happy when the blockchain technology is being exploited for what it is. From a vision perspective there are already companies on Saas doing something similar in centralized environments but the utilization of blockchain is the best aspect and I believe this will be accepted well in the medical community. From a product perspective since its more in a early alpha stage, the product needs to consolidate and prove its working feasibility once its moved to beta. Overall I love this company.I wish everyone on the team a lot of success. Thank you very much for your rating and comments. We are planning on several pilots between US and UK clinics to demonstrate the capability of the software and the blockchain network and how we can move records easily. Please stay tuned and thank you for supporting the project. A whitepaper ICO. No product or service yet. Dont really see a difference between this and medichain. Blockchain Lawyer. CEO at Icofunding. Conceptualization of ideas. Development started. Cardiology department identified as good starting point to cultivate idea. Discharge Summary website in production stages with data collection process. Wide adoption of website through-out Cardiology department of Leeds Teaching Hospital Trust. First release of Medicalchain source code for prototype. Discharge Summary moves to Hyperledger. - Release of mobile app, patients can port medical record to blockchain. - Doctor enrolment programme for Medicalchain platform. Nationwide rollout of Discharge Summary. First rollout of Doctor to Patient communication platform. First direct connectivity to hospital EHR in Europe and US (Beta). Smart contract for insurers and researchers. Rollout of platform to pharmacies and doctor practices.